Get a Free $3 contest with your 1st Deposit at DraftKings!" Click save your team will be entered. If you are new player simple create a new account. 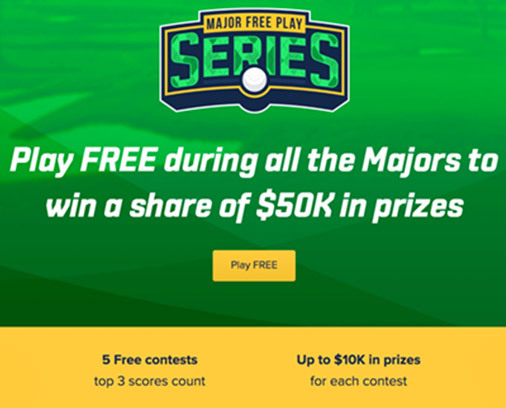 Play for FREE in all 4 majors at FanDuel.com with the 1st ever Major Free Play Series. $5K to $10K up for grabs for each Major and then a grand prize after all 4 Majors with the top combined score taking home the big prize. Don't Play Safe - these contests are going to have lots of players so don't draft the safe players. You got to go for the win since most of the money to be won will go to the top 5 scores. Look for players who are on the cusp of a breakout or are playing in the tournament for the 1st time. Look at Course History - a tournament like the 1st Major is played every year at Augusta. There is a wealth of information to look back on to see how players have performed here in the past. Some guys just can't handle the course and it shows year after year. 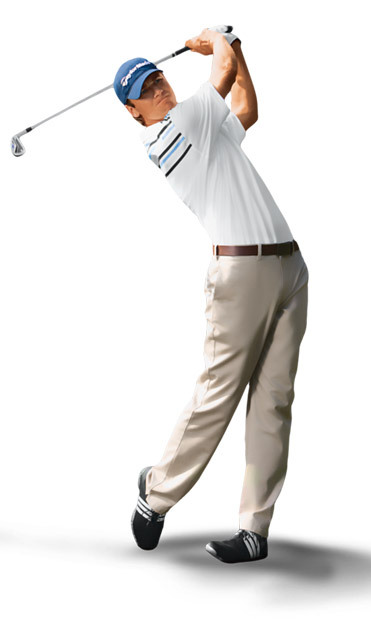 While guys like Speith consistently finish near the top and obviously love the course. The best place to look up past course history stats is our partners at GolfStats.com. Consider Ownership % - most fantasy players participating in a freeroll are not going to be experts. In fact, quite the opposite they likely don't know any strategy if anything and are just playing because it's free. Take advantage of this and avoid popular names and the betting odds favorites because this is where most of your competitors will get their picks from. Want To Get Alerted to All Our Top Free Fantasy Golf Contests? Join our newsletter today to get them delivered right to your inbox. We are partners with DFS sites like DraftKings/FanDuel and receive a small compensation for new players joining through our links which helps us to provide quality content to our followers. Being official partners with dfs sites such as DraftKings, FanDuel, Fantasy Draft and Draft, etc... we may receive compensation or other benefits for advertising. Please help us improve our content by using our links which will also earn new players the best bonuses and deals online at each site!